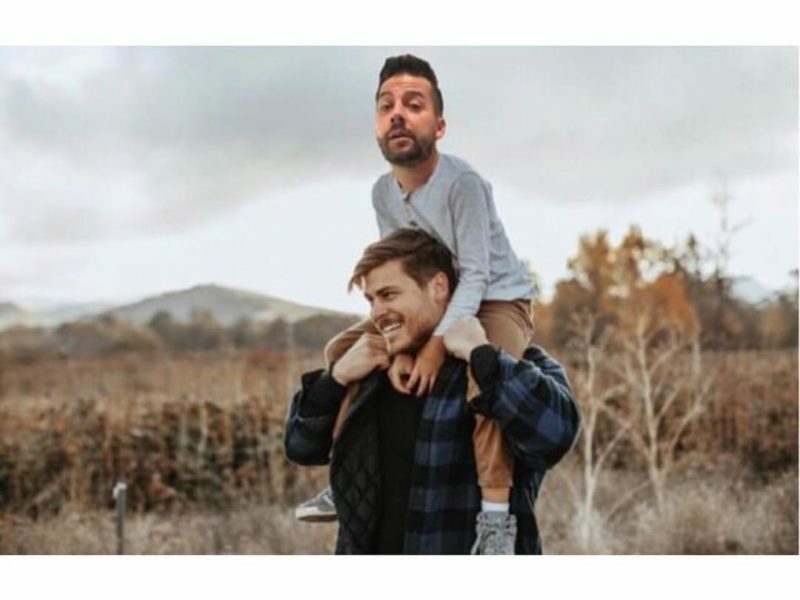 Cory Asbury is a worship leader and songwriter who joined the Bethel Music Collective in May of 2015. He was raised in the mountains of North Carolina where he developed a deep love for music and songwriting. He began leading worship at his local church at age fourteen, and went on to do full-time worship ministry at the International House of Prayer in Kansas City (IHOPKC) in 2005. On October 27, 2017, Cory released a single called “Reckless Love” from an album of the same name. The song soared to No. 1 on Billboard’s US Hot Christian Songs chart. At the 49th Annual Dove Award (2018), ‘Reckless Love’ won as the Song of the Year. In addition to this, it was announced two days ago that Cory Asbury’s ‘Reckless Love’ has been nominated for a Grammy Award. Along with “Reckless Love”, the album features songs such as “Endless Alleluia” and “Water and Dust”, pioneering a soulful journey into the heart of the Father. Cory’s “Reckless Love” became the “Oceans” of 2018, covered by millions on YouTube and sung in churches all over the world. The song was so popular that comedian and viral sensation, John Crist, took notice and had some fun with the worship leader. John and Chris’ “Beef” is one of the funniest things on the internet right now. Bethel even posted a hilarious meme about these two. 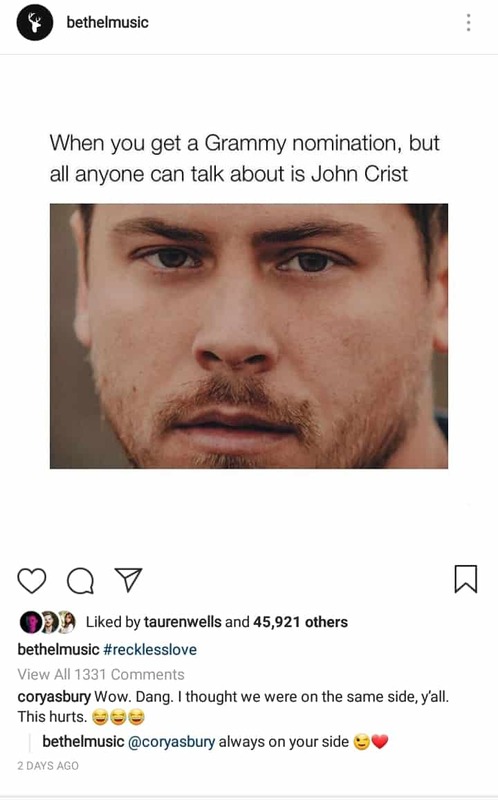 We all need a friend like John Crist in our lives. Congratulations to Cory Asbury on your Grammy nomination! And to John Crist, thanks for the laughs. This article is written by Le-Jovale Vallejo.